New research suggests that overconfidence is strongly linked with narcissism and is particularly likely to emerge when highly narcissistic people feel powerful. That is, a narcissistic boss who radiates feelings of superiority, entitlement, and a constant desire for admiration may also be more likely to make risky decisions. Across four studies, a team of Georgia-based psychological scientists Lee A. Macenczak, Stacy Campbell, Amy B. Henley, and W. Keith Campbell found a relationship between narcissism and overconfidence: Higher narcissism went hand-in-hand with overconfidence. When highly narcissistic people were primed with feelings of power, they became even more overconfident in their abilities. “Narcissists are especially prone to errors of overconfidence because they possess the following qualities: they think they are special and unique, that they are entitled to more positive outcomes in life than are others, and that they are more intelligent and physically attractive than they are in reality,” Macenczak and colleagues explain in the journal Personality and Individual Differences. In the first study, 135 participants (53% male, 80% Caucasian) completed the 40-item narcissistic personality inventory (NPI-40). For each item on the NPI-40, participants were shown two statements and had to choose the one they thought best described themselves (e.g. “I like having authority over other people” versus “I don’t mind following orders”). After completing the narcissistic personality inventory, participants took a trivia test of 15 relatively difficult general knowledge questions. Participants chose the correct answer from two choices for each trivia question (e.g. “Which river is longer? The Mississippi or the Yangtze”). After each trivia question, participants indicated how confident they were that their answer was correct by selecting a confidence level from 50% to 100%. Participants also estimated how many questions they answered correctly and how many questions other participants probably answered correctly. “As expected the results indicated that narcissism is positively related to the different measures of overconfidence,” the researchers write. 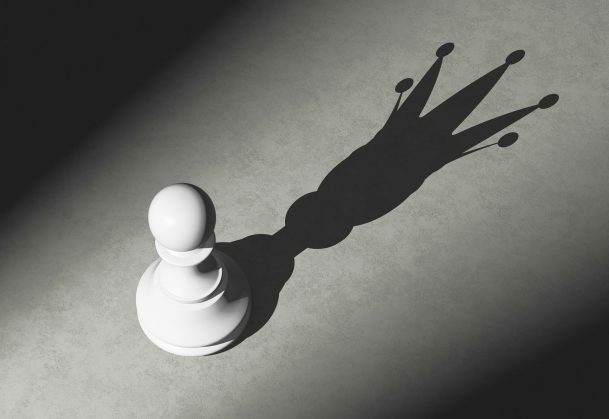 In two additional studies, the researchers examined whether a sense of power would further push narcissistic participants toward overconfidence. Participants followed a similar procedure as in the last study, but this time they were prompted to feel powerful or not so powerful before taking the general knowledge quiz. In the high power condition, participants were asked to recall and write about a situation where they controlled another person or group, while those assigned to the low-power condition described a situation in which someone had power over them. As in the first study, narcissism was found to predict overconfidence. However, prompting people to feel powerful didn’t seem to have a significant effect on overconfidence. In a fourth study, the researchers ran the same power manipulation experiment but this time they used a sample that had been pre-screened for high levels of narcissism. In the pre-screening procedure participants answered the single-item narcissism scale (SINS) which relies on a single statement to assess narcissism: “I am a narcissist.” Participants rated themselves on a 7-point scale ranging from “not very true of me” to “very true of me” and only individuals responding with a 4 or higher were included in the experiment. This sample of 250 individuals (64% female, 68% Caucasian) then completed the same procedure used in the previous experiments. Consistent with the other experiments, “narcissism was found to be a significant predictor of each type of overconfidence.” When highly narcissistic people were primed to feel powerful, overconfidence rates rose even higher. To mitigate these negative outcomes, Dunning and colleagues suggest that CEOs, as well as employees, receive regular feedback.